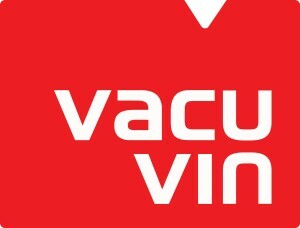 International Innovation Company B.V. (IIC) designs and manufactures consumer products for both its own brand Vacu Vin and third party brands. With over 27 years of experience in developing consumer products IIC is rightfully called an innovative company. IIC is a family business, which has its origins in the invention and production of the Wine Saver. It can best be described as a company that supports the process from idea to end product. An internal team of experts and designers is constantly looking for new additions to IIC’s unique range of products. IIC products are being sold in over 80 countries around the world. “Creation of a correct and complete Declaration of Compliance according to legislation 1935/2004 and 10/2011, is essential to IIC. Customers are more and more demanding as a consequence of transparent legislation concerning the use of Food Contact Plastics. This means that obligations grow rapidly and we are required to manage and archive correct information. By using FOCOS we are always up-to-date on legislation. We file supporting DoC’s within FOCOS and are better able to manage changes and communication with our customers. We see big advantages for both our customers and our internal organization. IIC is currently in a startup-phase where we register our raw material and product information in FOCOS. Missing information is detected by FOCOS and we can request information to our suppliers directly from within the system. Questions about FOCOS and Food Contact are quickly and well answered by Viaware, the company behind FOCOS. They are open to feedback and have a good understanding of our business. The in-company training course that they provided was very enlightening. During this training the features of FOCOS were introduced by practical examples, applied to our daily business. We have learned how to interpret and process information from our suppliers into FOCOS and are now able to create a good DoC.